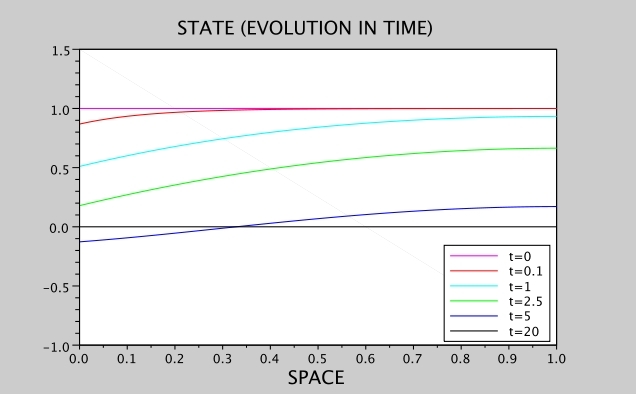 We discretize in space by standard finite difference approximations. As an example, we take 50 space variables, with , , and a final time T=20. The discretization method is implicit Euler with 200 steps. We set here , which gives a singular arc for the control. We display on Fig. 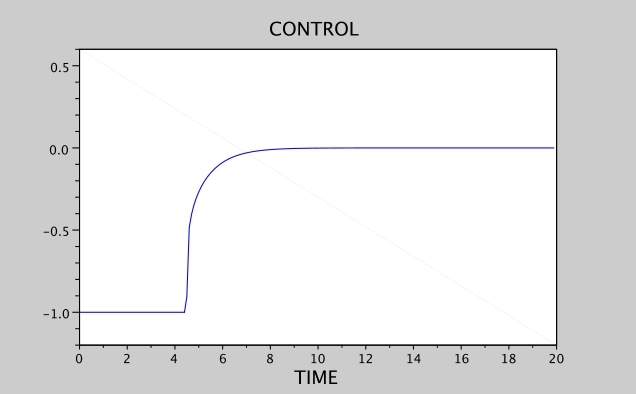 1 the results in the case of the Dirichlet boundary condition . Fig. 2 shows the Neumann case, this time with . We can clearly see the differences between the boundary conditions and . 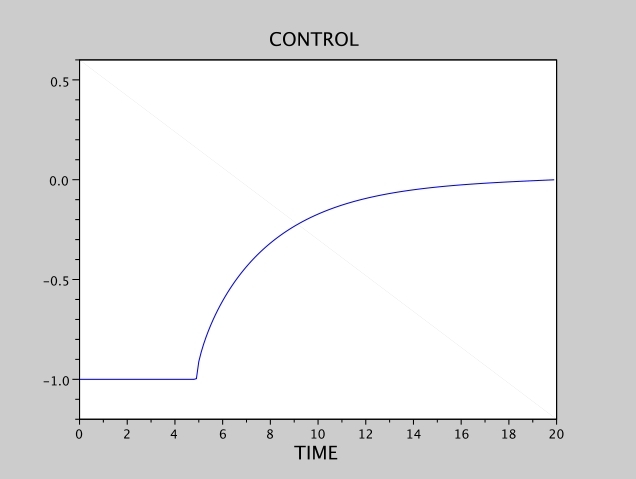 Figure 1: Heat equation, Dirichlet condition, and . 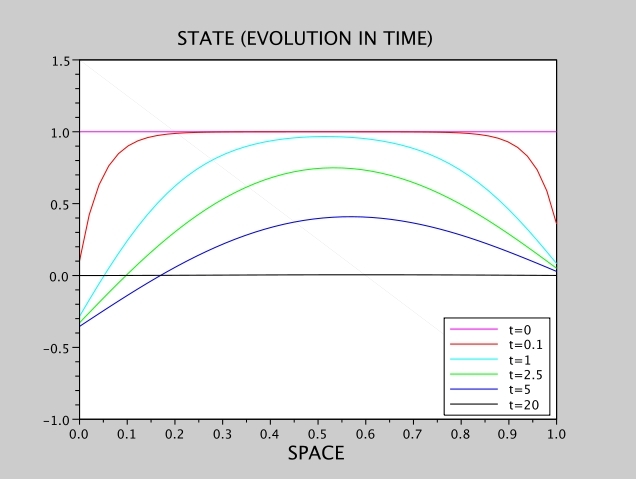 Figure 2: Heat equation, Neumann condition, and .